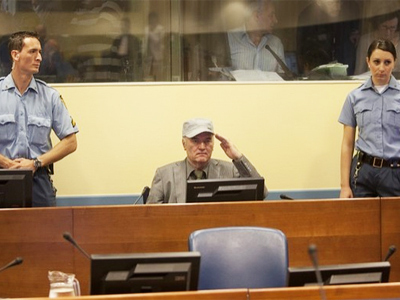 Ratko Mladic, now at The Hague facing charges of genocide, has largely been silent since his recent arrest. Back in 1995, however, he gave a candid interview explaining his side of the Srebrenica story, which RT can now reveal. 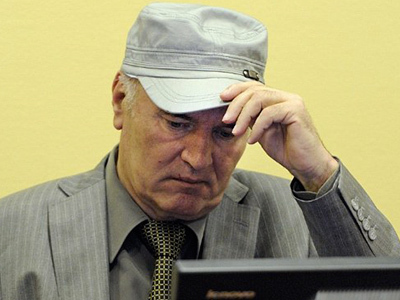 After more than 10 years in hiding, today Mladic looks more like an ill old man than the person who was allegedly responsible for the largest mass murder in Europe since WWII. In 1995, just one month after the Srebrenica massacre and three weeks after The Hague Tribunal pressed charges against Mladic, a Western TV crew managed to meet with the general for an interview. But despite the obviously high level of importance and the exclusivity, the interview was never aired. The tapes remained in Bosnia and Herzegovina in private archives and only now is the conversation being released to the public after RT managed to gain access to the materials. According to the Tribunal, the Srebrenica massacre refers to the killing of more than 8,000 Bosnian Muslims, mainly men and boys, in and around the town of Srebrenica in Bosnia and Herzegovina in 1995. 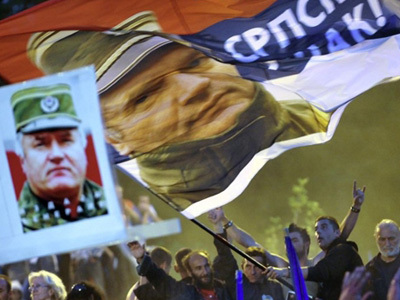 The killing was allegedly conducted by units of the Army of Republika Srpska under the command of General Mladic. In April 1993, the United Nations declared Srebrenica was a “safe area” under its protection. However the 400-strong contingent of Dutch peacekeepers failed to prevent the alleged massacre from happening. The General also described in detail how sometimes the Bosnian Muslims were armed with the help of Iran under the supervision of the UN peacekeeping contingent. According to the general, by that time the bubble of patience had been forced to grow for two years and at one point it finally burst. Mladic also outlined that those who surrendered were handed over or, at the time of the interview, some were still planned to be handed over to the International Red Cross. And those who died had been buried according to Muslim traditions. The interview moved to one of the most important aspects – the mass graves. 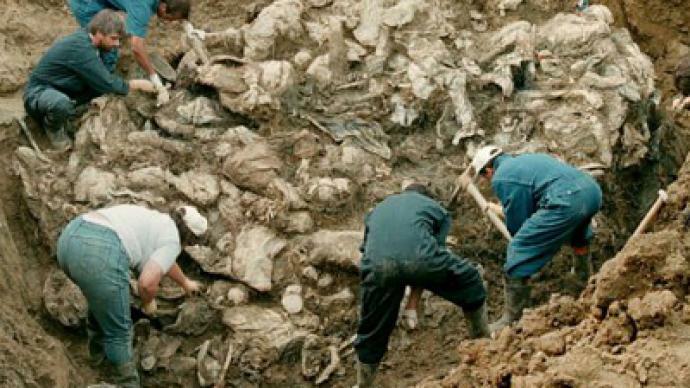 Later, several sites with thousands of dead bodies were found in and around the Srebrenica area. These were the bodies of Bosnian Muslims who are thought to have been selectively picked and executed by Mladic’s forces from scores of refugees. In the interview, the general fiercely denies any accusation of executions having taken place. “Only those who died in battle were buried. For hygienic reasons their bodies had to be collected and buried in appropriate places until the warring parties agreed to exchange the remains of the dead with each other,” he asserted. Given that Mladic’s story was totally different from that put forward by The Hague Tribunal and most Western media, the correspondent asked how the general felt after being branded as a war criminal. Mladic remained calm and said he had been partially following The Hague’s case against him, but claimed he did not feel like he needed to defend himself. “I don’t recognize any trial except the trial by my own people. I don’t need to defend myself, because these idiotic accusations have come from those centers which have been churning out lies through PR and similar organizations, creating such a chaos in these territories that the world community doesn’t know, doesn’t see or simply doesn’t want to see a way out of all this,” he insisted. 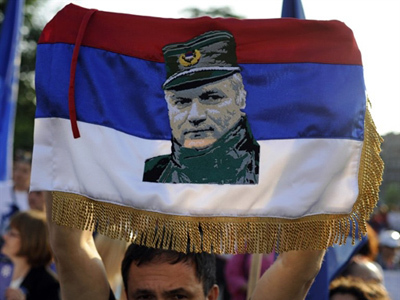 “My people have never been occupiers,” was one of the main ideas put forward and reiterated by Ratko Mladic throughout the entire conversation. The general claimed he had been strictly protecting his nation, while the West and even Iran had sent weapons and “high-quality experts” to arm his enemies. “Unfortunately, the bad image of the Serbs and the Serbian people in general created by some media outlets has led to unequal and biased approach to the sides in conflict by part of the world community who took the side of the Croats and Muslims, who actually started this bloody war in the territory of the former Yugoslavia,” Mladic said. 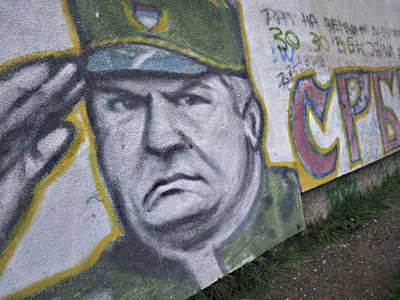 Currently, prosecutors at The Hague Tribunal are thinking about dividing the process against Ratko Mladic into two parts – Srebrenica in one separate trial and other war crimes the former general is accused of in another. However it is unclear exactly what the condition Mladic’s health is. Any information on that is made public only with his prior consent. According to his relatives, he is suffering from the effects of a stroke and had several heart attacks. Recently Mladic had hernia surgery and even refers to himself as “a very sick person”. The Tribunal’s chief prosecutor, Serge Brammertz, openly stated that the defendant’s health could deteriorate, which may affect the Tribunal’s ability to complete the trial.